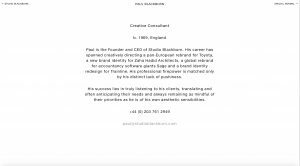 Recontextualising the online presence of Studio Blackburn and Paul Blackburn. 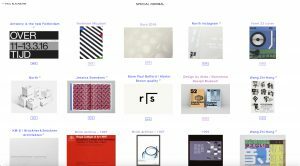 A commission by Paul Blackburn and Studio Blackburn, a brand design consultancy, to recontextualise their website resulting in three interconnected sites with a series of playful interactive interventions. Working in collaboration with Studio Blackburn, a series of iterative proposals, prototypes and playthings were developed before building the website. 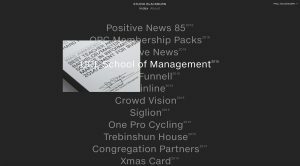 All three sites – Studio Blackburn, Paul Blackburn, and Special Normal – are linked to each other across their respective domains, creating a connecting thread across the three properties.